Carry your cherished images with you in a photo keyring. 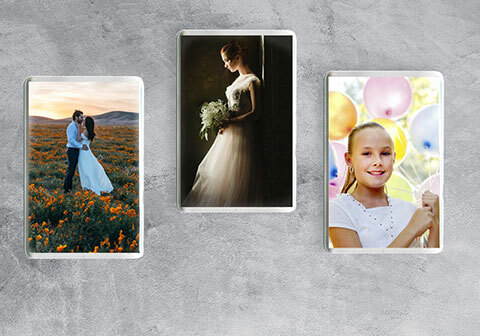 Create a perfect a gift for family and friends with a personalised photo keyring. Use our online designer to add your 2 chosen images and preview your design in 3D. Each pack contains 4 photo keyrings.